(1.5 hrs) Our “Initiative Task” program is designed to enhance the student’s social skills and confidence level while participating in group functions. 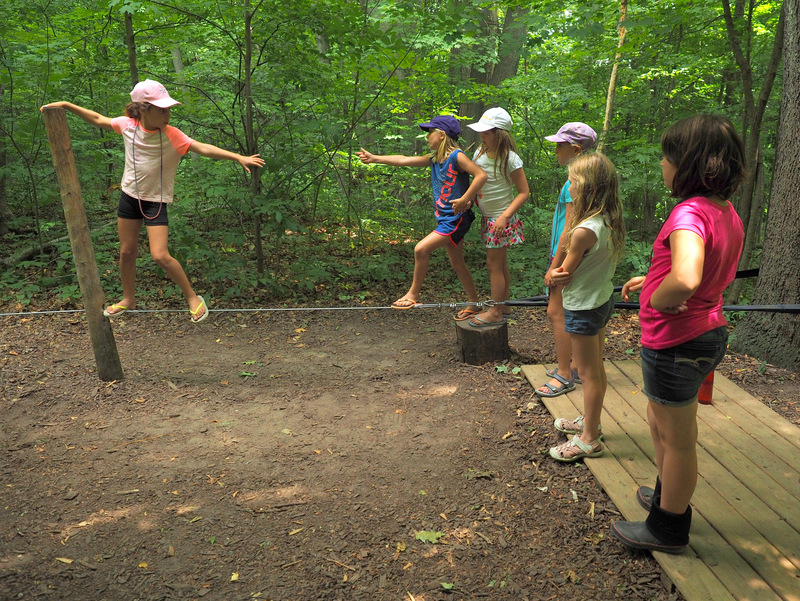 The mentally and physically challenging tasks (low ropes course) also provide a fun and safe forum for the development of group cohesion. We also offer a 1/2 day program (2.5 hrs) which consists of a series of group development exercises followed by the initiative tasks. It should be noted that adult volunteer group leaders are needed to facilitate this program. Please inquire for specific details when booking this program. Areas of focus include: organization, trust, compassion, adaptive communication, respect, cooperation and belonging. It should be noted that adult volunteer group leaders are needed to facilitate this program. Please inquire for specific details when booking this program.